This salon does a yearly appreciation gift for its clients. 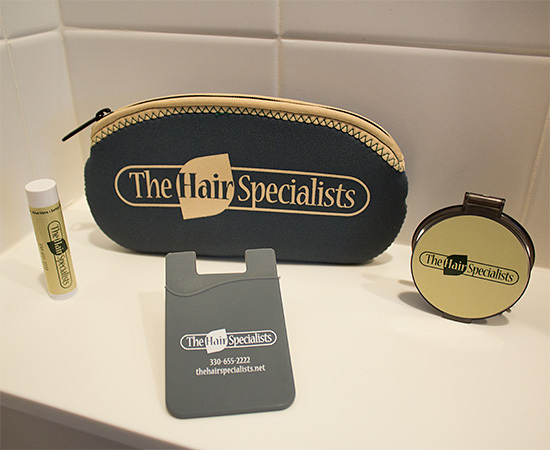 We found a collection of usable items that related to the salon. The coordinated colors lended itself to a custom look. Their clients were so appreciative that some asked for additional pouches!